For orders shipped out of the United States Tower uses United States Postal Service Priority Mail International. International Addresses: You must provide a street address, valid e-mail address, and phone number. We do not ship to post office boxes outside of the United States. International Shipping Fees, Import Duties and Taxes: All international shipments will be charged postage costs calculated by weight and destination. Prices do not include customs fees, taxes and tariffs. Customers outside of the United States may be subject to customs fees and/or import duties and taxes, which are levied once a shipment reaches your country. You, the customer, are solely responsible for any additional customs clearance fees; we have no control over these charges and cannot predict what they may be. It is your responsibility to make sure that you are allowed to import nutritional supplements from the U.S.
International Returns or Packages Refused: Tower's 60-day money back guarantee also applies to International orders. However, while we appreciate very much our International customers and their business, if your shipment(s) is returned to us within that 60-day period because of an address error made by the customer, whether the customer refuses the package or the items ordered are not allowed into the country by customs, the International customer will be responsible for the shipping cost billed to Tower Laboratories for the return of any orders, and a 15% re-stocking fee will be billed to the customer's credit card. However, if the shipment is not returned to Tower within the 60-day money back guarantee period, the sale is considered final If the package is stopped by customs because items ordered are not allowed in the country and the package is abandoned, there will be no credit to the customer for the order. Your Country's Custom and Import Policies: Again, while we appreciate very much our International customers and their business, it is important for you to become familiar with the Customs policies for your specific country before ordering. Customs regulations vary greatly by country, and lack of knowledge regarding the customs rules governing the country you're importing to can result in your order incurring high import duties or delivery being delayed or returned to us. It is your responsibility to check with your Customs office to see if your country permits the shipment of our products. Any fees charged to TowerLaboratories.com due to non-compliance with your country's laws and regulations will be charged to you, the importer. If an item or items are returned to us due to non-compliance issues with your country's laws and regulations, a refund will be issued for the merchandise only, minus 15% of the value of your order as the re-stocking fee, and any other charges incurred such as quarantine fees, shipping fees, or warehousing fees assessed by Customs in your country. 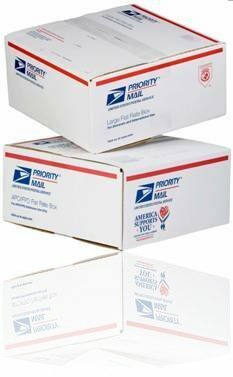 All Tower domestic retail and monthly Autoshipments are shipped via United States Postal Service Priority Mail, with delivery in 3-5 business days to most U.S. destinations including all Post Office boxes and military addresses. The cost for shipping and handling in the U.S. is the greater of $6.50 or 7% of the total sales price. Tower will ship via Express or Overnight Mail in the U.S. upon request based on the current U. S. Postal Services rates. Please call to request Express or Overnight shipping.